Everyday an active group member* is chosen randomly to be the Artist of the day - This lover becomes the CLAD. 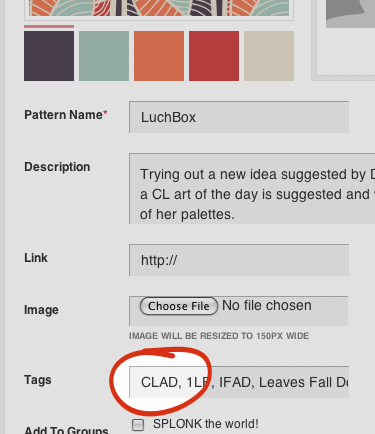 On this day, you are encouraged to visit the CLAD's profile page, explore their palettes and colours and dig out their under-loved master pieces. The idea is to showcase the CLAD's work, have some fun and spread a little love. Everyday a member is chosen randomly using the random chooser to become the CL artist of the day! 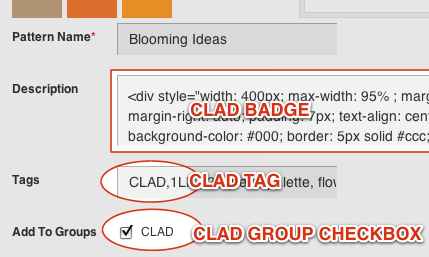 PLEASE TAG 'CLAD' TO ALL YOUR SUBMISSIONS! COLOURlover is our CL artist of the day! Avatar images as you see in the sidebar here on the right are not simply embedded images, dragging and dropping the image to the desktop does not work. http://notepad.cc/CLADNAME <-DO NOT SHARE THIS LINK!! at the bottom of the page there's a share button for the non-editable version of the same page. I make lots of errors, knowing the above you can access the editable version of the code and correct my badges! A list of all the active members that have not yet been CLAD is entered and the random chooser decides who will it will be. 1)* - Is the member an active CLAD member? - Has the lover participated ? CLAD wouldn't work if everybody expected to receive without giving. + Some members seem to join many groups without looking what it's all about. To see if someone has participated we search tag+name. 2) - Does the lover have enough palettes? 3) - Are there chances that the lover will be online today? If the lover you wish to suggest hasn't been online for 3 days - maybe he/she's on holidays? Once a potential CLAD is chosen, better re-check and see when he/she was last online. - Exceptionally, for special occasions, we have elected non CLAD members. In this case consider: Will the lover be pleased to be the CLAD? (check your name after ~1 week after you have joined) - Thank you!